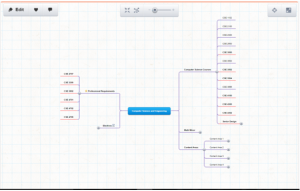 Mind42 is a platform that allows you to create mind maps. In short, mind maps are a way of organizing your ideas and information into a visual chart that can be very useful when studying. More information about mind mapping. Because a Mind42 account is linked to their website, mind maps can be accessed anywhere you have internet connectivity. The best part is that this service is entirely free! 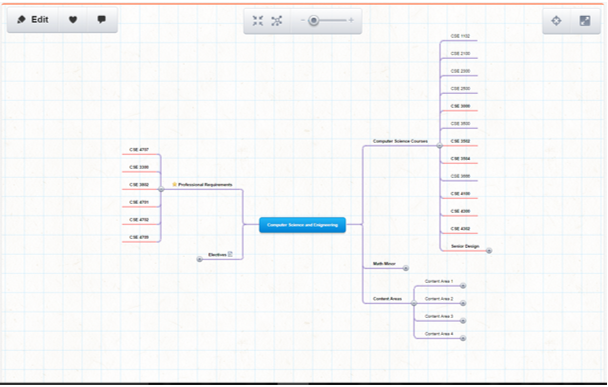 By creating an account at www.mind42.com, you can create multiple mind maps for any projects or tests you have coming up. One of my favorite features about this particular platform is you can attach pictures, links, notes, and to-dos to any new information node you make. For example, let’s say you’re studying anatomy, your main node could say ‘Body’ and have a picture attached that features an anatomical view of the human body. This type of organization helps you see the visual connections between projects, and because of this, Mind42 can be helpful when working on semester long projects that require some pre-project planning. I created a mind map for my plan of study to show one example of what a mind map can be used for. View this sample mind map. As you can see, I was able to use Mind42 to categorize my requirements in a clear manner. All of the courses that still need to be completed are in bold and underlined in red so I can see what I have left to do. This entry was posted in Tech Blog and tagged App of the Week, Assistive Technology, CSDTech, Mac, Organization, Productivity, Windows, Writing.